Can't take a workshop with us in person? Looking for a creative kick in the pants? Our Online Workshops might be just what you've been looking for. These self-guided workshops are hosted in a secure Ning site giving you 24/7 access to the content. Click on the links for more information and to register. Scroll down to see general online workshop info and policies. This straight forward workshop is for anyone looking to connect with their creativity, whether you’re a beginner looking for fun ways to begin your creative journey or an experienced maker looking for new direction. Everyone can benefit from inviting a bit of randomness and chaos into their art making as a way of opening up and sparking new ideas, and this self guided course is designed to do just that. It will have you loosening up and looking at the unpredictable and the messy with a sense of possibility and wonder as you begin to purposefully cultivate spontaneous acts in order to set aside your fears of making mistakes and to spark creative leaps in your art. Have you ever wondered how artists are able to layer and mix material and ephemera to create stunning journal pages? Have you ever longed to create meaningful layered pages of your own? Then this workshop is for you. Discover how easy it is to use simple materials and techniques to create complex pages, and learn how to develop meaningful ideas using your own writing in this hands-on, visual journal workshop. Delve into the visual journal process as Eric shows you how he creates his stunning pages. It’s all about you in this mixed-media workshop! Using a variety of prompts, exercises, media, techniques, images, and words, you will map out the mystery that is YOU by contemplating where you have been, where you are, and where you are going. Engage in a process of self-discovery and introspection as you delve into new realms, and set the direction of your intention as you explore a process of personal mapping. Take your art making to a new level as you experiment with layering paint, drawing, collage, text, image transfers, and more to define your personal themes and create artwork from your personal vision. Prepare to get still, get quiet, and go inside as you learn to use mapping as a powerful tool for living and dreaming and for making rich, layered art. This amazing collection contains 37 visual journal workshops gathered together by Dirty Footprints Studio. 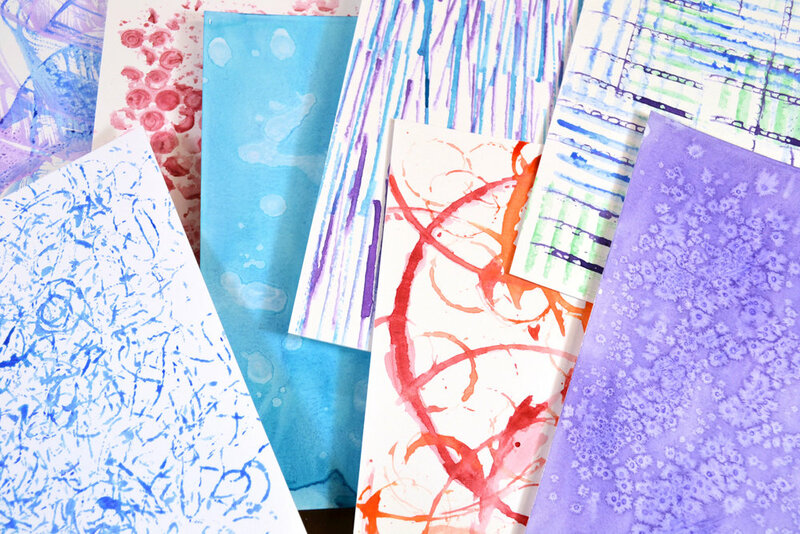 It is not a part of the JFJ Ning Site, but we join 36 other artists in bringing you a wide variety of workshops to keep you creating and making in the journal. This awesome opportunity includes a downloadable 300+ page PDF ebook, and access to videos galore. Work at your own pace, and learn from some of the best! Click the Learn More button, and you will be taken to the Dirty Footprints website where you can access all of the details and purchase the whole collection. All workshops are offered through a secure group in the Journal Fodder Junkies Ning site, and membership in the site is required to access the workshops. All workshops are self-guided, and you will have 24/7 access to the content. This allows you to work at your own pace and to revisit any of the lessons and techniques, and you don’t have to be in front of your computer at any set date or time. Each workshop consists of videos, PDF downloads, and discussion forums for you to explore. The workshops are designed for all experience levels - from beginners to advanced. The video tutorials and PDF workbooks are designed to be easy to follow and informative, but also to provide new techniques and ideas. To register for a workshop, click the Learn More button, and you will be taken to our shop where you can purchase the workshop. Payment is accepted by any major credit card, debit card, or Paypal. You will receive an automated receipt, but it may take up to 48 hours to receive an email confirmation and invitation to the Ning classroom which will be sent to the email you provide when you checkout. This is not an automated process, so please be patient. If you do not receive an invitation within 48 hours, please check your SPAM folder. If the invitation is not there, please contact us so that we can resend the invitation. If you are not already a member of the JFJ Ning site, you will be prompted to set up a login and password. Your membership will need to be approved first before you can access the online classroom. Make certain that the email you use to set up your Ning login is the same as your the email you provide Paypal during registration. Once the registration process is complete, you will have 24/7 access to the workshop for as long as the workshop runs - a minimum of a year. All components are accessible on multiple internet connected devices such as computers, tablets, and smartphones. Remember that access is only granted to the person who is registered. We have put a lot of time, energy, and resources to provide these workshops. Please respect the integrity of the work, and do not share logins or downloads with anyone. By purchasing the workshop you agree to not share or distribute your login information and downloaded material with anyone else. Anyone found in violation of this policy will be barred from the workshop, and no refund will be granted. All workbooks, instruction sheets, and print-outs are in PDF format, so please make certain to have the latest version of Adobe Acrobat Reader installed on your computer. Mac users can use Preview to view PDFs. Many of the these files are compressed into .zip files, so use a free app like Stuffit Expander for Mac or PC or iOS is essential to open these compressed files. Videos cannot be downloaded and are password protected, and you will receive the password in the workshop invitation. You have 24/7 access to all videos in the course, and you may watch them as often as you like. You will need basic art and journaling materials such as watercolor paint, watercolor pencils, pens, markers, scissors and glue sticks. A more specific materials list will accompany each workshop. In most cases, brand and quality are not important, but with some materials and processes, particular brands are recommended and might be the only appropriate ones. We will make sure to let you know when something is necessary and when something can be substituted. All content is delivered through the Journal Fodder Junkies Ning site, and is accessible from all platforms and mobile devices. It is recommended that you have high-speed Internet access to view the videos and to quickly download materials. If you would like to gift a registration to a friend or family member, please indicate that when you checkout and provide the person’s name and email. A gift and confirmation email will be sent to the recipient so that they may access the workshop. Refunds may be issued during the pre-registration period for a workshop, but once the workshop has begun, refunds will not be issued. Special circumstances will be considered, such as issues with accessing the workshop, but refunds will not be issued once you have accessed the workshop. All artwork, images, PDFs, and videos are the copyright of Eric M. Scott or David R. Modler, the Journal Fodder Junkies. All materials available for download may be printed, but are for personal use only. They may not be shared or distributed by any means mechanical or electronic, and they may not be sold or reprinted for commercial use. Images and collage elements may be used in one of a kind, original work, where the used images have been modified, cut, added to, or in some way manipulated. Digital elements such as photos, banners, and badges may be used for blogs, personal websites, and social media sites as long as they are for noncommercial purposes and proper credit is given.